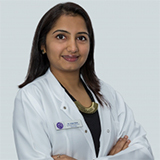 Dr. Kajal Shah is an experienced Radiologist who has completed her M.B.B.S from one of the esteemed medical institutes in India. She completed her Master’s in Radiology from Lilavati Hospital, which is one of the top hospitals in India. She completed her Fellowship in Radiology from Tokyo University. She has a thesis of 1000 patients on breast studies. She specializes in Female Imaging – Mammography / Breast and Pelvic Sonography, Fetal and Maternal Imaging, MRI reporting, CT scan reporting, Doppler and general X-rays. She is a member of esteemed Radiological Journals and societies like IRIA, msbiria, IJRI, BIR, etc. She has many papers published in national and international journals. Her paper was selected by Korean Congress of Radiology and Japanese society for presentation. She has been an active oral paper and case presenter and won prizes for the same. She has many certificates for continued medical learning. She is well versed with English, Hindi, Marathi, Gujarati, Punjabi and can understand Urdu and has basic knowledge of Arabic and Japanese.